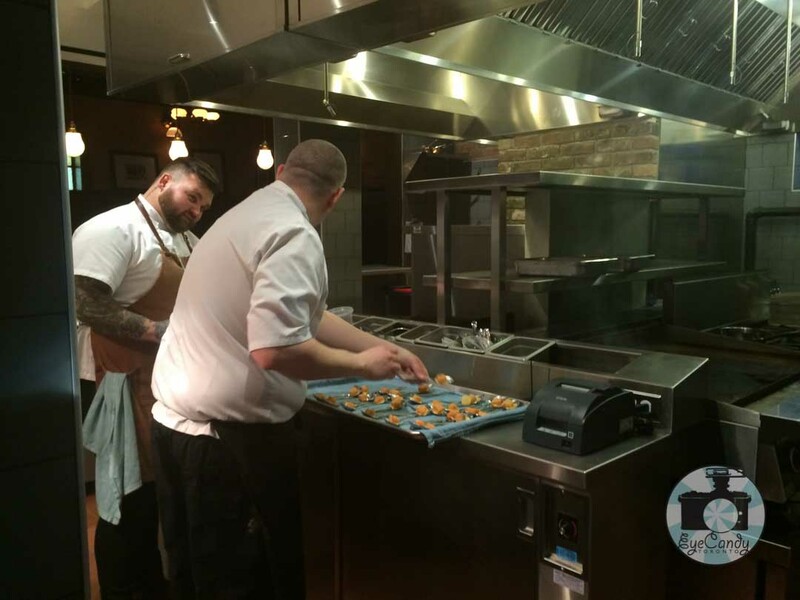 A few weeks ago I was invited to Maple Leaf Tavern launch party. As most times I am in anticipation of what the restaurant would be offering for us to try. But I was especially looking forward to the event as it was the first time that my friend and sistah-from-another-motha Catalina would be joining me to experience this food event. Working for the same company about two years now, we only can enjoy bits and pieces of stolen time to talk. Well with a night over drinks and good food, it was definitely something I was excited about. We shared a ride from Yorkdale to Maple Leaf Tavern. In that short span, I understood how much we have in common for our love of food. She sometimes catches me off-guard when she tells me things that came from my blog. I often relate with her with work that sometimes I forget that she follows my blog with intent. This time, I wanted to share the experience and we walked in together the newly launched Maple Leaf Tavern. Right off the bat, I was impressed with the interiors. As soon as you walk in, you would be greeted with a wide expanse of a bar decked out with dark-stained wood panelling. There were communal tables to your left and more intimate booths to your right. After getting the details of how everything worked, we chose to go to the bar and check out their feature cocktails for the night. As I was checking out the list, the bartender was in the middle of wowing us with how he deftly mixes of what they call Stealth Margarita (Tequila Avion, Briotett Fleur De Surau, cucumber, lime, jalapeni tincture). Margaritas has always been one of my go-to cocktails but I haven’t had it refreshingly light. That lightness I think came from that layer of cucumber taste that cleanses the palette. They featured three other drinks – Garibaldi cocktail, Hotel Nacional and Rye & Ginger – but I think it was the Margarita that was my most favorite. As for Catalina, I think she was most curious of the Garibaldi cocktail after tasting that orangey profile of the cocktail that she tried. Of course the night was not only a parade of what are the featured cocktail drinks. We were in treat for out in the kitchen came – sliders, grilled bacon, grilled house made sausages, smoked salmon crudo and steak tartare to name a few. I saw more pass by but I was too busy getting into a conversation with fellow foodies Alexa, Yvonne and Bev and finding it amazing that Catalina blended in the mix. It was awesome that she was having a good time sampling the food. My personal favorite were the sliders, all that juicy beef packed in three bites (or maybe four). Thank you Maple Leaf Tavern for having me and Catalina experience your food. I really had a good time enjoying your hospitality and sharing the experience with my friend Catalina. Congratulations on a successful opening!